So, Do You Feel Lucky Punk? 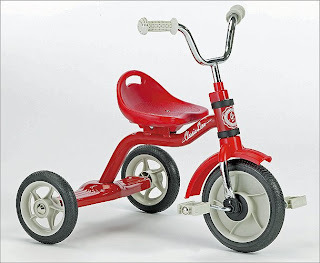 Check out my review site where you could win this Italtrike tricycle from All Modern Baby, the very cool place to find kid furniture, strollers, toys and decor like Stokke Sleepi, Bugaboo strollers, notNeutral wood blocks and Wall Candy Arts Wall Decals. The contest is only open until Monday, July 13 at midnight EST!